Perfectly situated in the heart of Adelaide’s entertainment and dining precinct this spacious apartment offers views across the city and parklands to the glorious Adelaide Hills. The generous master bedroom with ensuite takes full advantage of the vistas on offer. Two more bedrooms and full size family bathroom complete the accommodation package. The quality kitchen featuring stone bench tops and De Longhi appliances flows into the living area and out to the spacious private balcony, perfect for relaxing or entertaining. Rounding out this offering is the quality fit out, secure entrance and undercover car park. Move in and start your new lifestyle today. 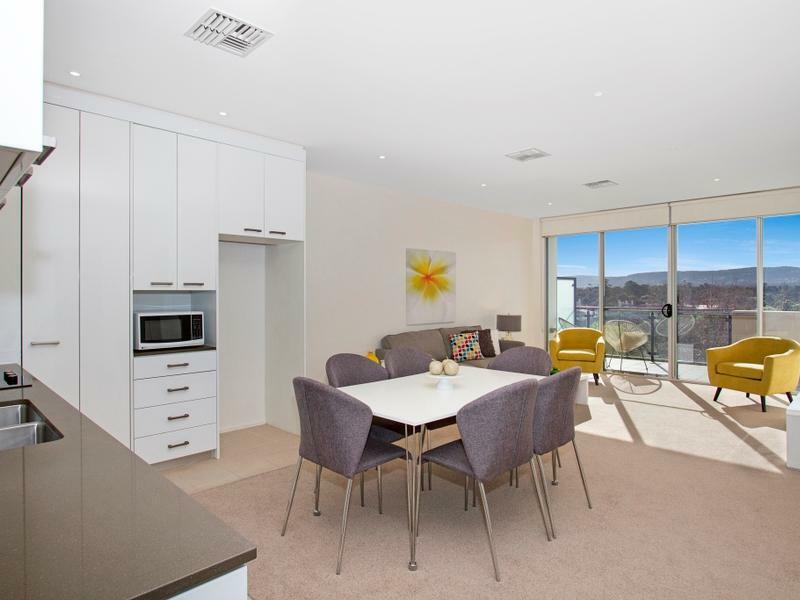 Apartment 402 on Angas Street is also for sale and is rented at $750 per week until April 2017.